During the fifth and sixth gaming generations – to Nintendo fans, the Nintendo 64 and GameCube eras respectively – developers and gamers alike became deeply enamored with 3-D graphics. Such phenomenon was rather natural, for while on the first timespan they were something completely new and almost unimaginable, naturally generating great degrees of curiosity and expectations as to how franchises that were staples in the 2-D world would translate to a new era; the subsequent period brought a considerable technological leap and took tridimensional graphics to a whole new level. That infatuation ran so profoundly that 2-D games started being viewed as icons of the past. Very few were the games that took place in sidescrolling scenarios, and whatever impact they may have had during those years was vastly overshadowed by the shock waves generated by their 3-D competition. 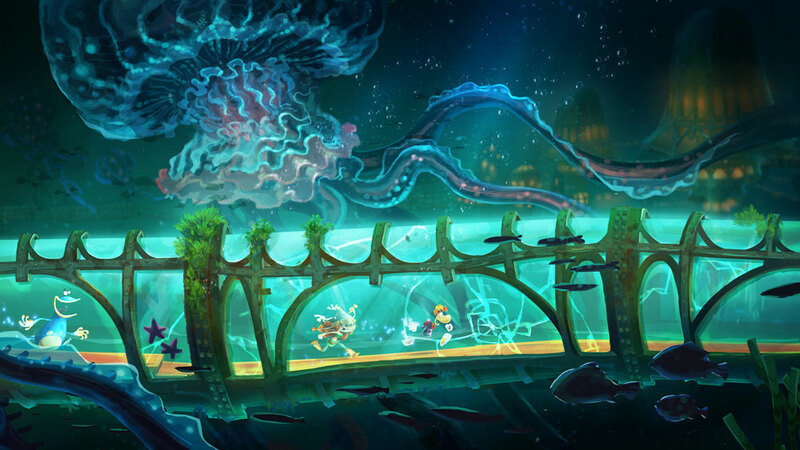 Some became overlooked masterpieces, like Klonoa; others garnered mixed reactions, such as the original Rayman; and a few were dismissed as being almost poor, like Yoshi’s Story. Pretty much the sole huge franchise to truly still embrace the genre and succeed was Castlevania, with its classic Symphony of the Night. For a while there, sidescrollers were either relegated to the galleries of gaming’s museums or seen as suitable only for the inferior hardware of the handheld platforms. The console landscape was dominated by the big players, and those craved to sport visuals that were as flashy and technologically impressive as possible. Failing to see sidescrolling as a design choice rather than a thing of the past was so endemic that some major videogame characters that had ruled the 2-D world were hurt by it. Samus, for example, never got to star on a Nintendo 64 game because neither Sakamoto, its creator, nor the Big N could figure out how to use the Metroid structure on a 3-D environment. SEGA, meanwhile, kept putting Sonic on miserable tridimensional efforts even if it was clear the formula just did not work that well with an added plain. Eventually, though, 2-D gaming rose to the surface once more. It is hard to pinpoint exactly when that tide began to shift and developers started looking at sidescrollers differently, but on the Nintendo camp that turnaround could easily be traced back to 2006’s New Super Mario Bros. The first original Mario sidescroller in a whopping fourteen years, the game – as its title plainly indicates – was marketed as a return to the stripped down platforming basics of the Super Mario Bros. trilogy. Needless to say, otherwise they would not have released it, Nintendo did expect the game to do well. What they did not expect, however, was that New Super Mario Bros. would become a gargantuan and almost unstoppable sales phenomenon that would move one million copies in twelve weeks and outsell every Mario adventure not named Super Mario Bros. – a software that came packed with an extremely popular system – on its way to becoming one of the ten best-selling games ever. As an effective comparison, by the end of its run, in spite of its exaggerated simplicity and very easy quest, New Super Mario Bros. would sell 30.75 million copies while Mario’s 3-D adventure on the Nintendo DS (Super Mario 64 DS) sold 11.03 million units. Sidescrolling Mario was not merely more popular than 3-D Mario, it was almost three times as well-liked. Couple that with the fact 2-D games are naturally less expensive to produce than 3-D blockbusters, and Nintendo had basically discovered a twisted version of the Konami code that, instead of giving a character a full set of power-ups, flooded its vaults with gold. The sign was understood by the company, and the floodgates were opened wide. New Super Mario Bros. gave life to a franchise that has spawned three other games in three different platforms and that has sold around 70 million units worldwide. And, true to the long-ignored popularity of sidescrollers, New Super Mario Bros. Wii, by itself, outsold the platforming perfection of the Super Mario Galaxy duo by nearly 10 million. Kirby, a character that never truly abandoned his from-left-to-right roots, has – since then – appeared on two home-console sidescrollers, Kirby’s Epic Yarn and Kirby’s Return to Dream Land, and has just starred in another, Kirby and the Rainbow Curse. Likewise, Yoshi – whose Yoshi’s Island series has been getting constant handheld releases since its Super Nintendo debut, will soon make the leap back to home consoles with Yoshi’s Woolly World. Wario, who had taken a life as a videogame designer and a participant on various spin-offs set on the Mushroom Kingdom, saw his glorious Wario Land franchise, that had been lying dormant since 2001, be revived in 2008 through the Wii’s Wario Land: Shake It. 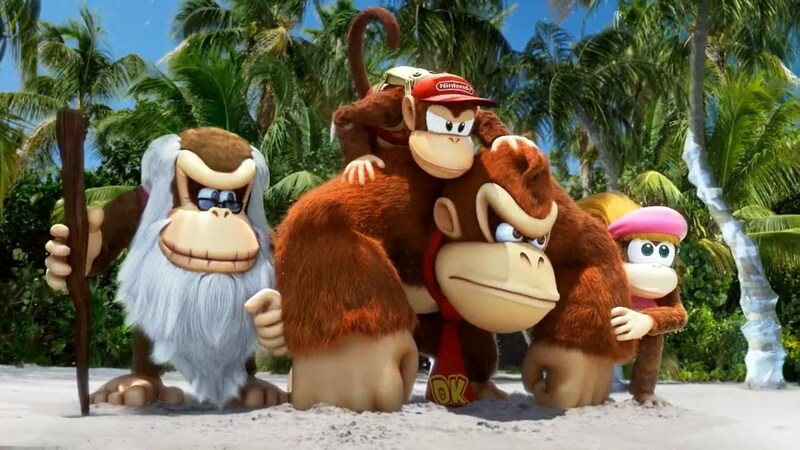 At the same time, Donkey Kong, who – after the monstrous Donkey Kong 64 – had also been downgraded to being a Mario sidekick, not to mention starring on a bunch of bongo-based games whose only creative highlight was the clever Jungle Beat, was rescued from falling into the gutter – or worse yet, the limbo reserved to characters such as the Ice Climbers – and was rewarded with the comeback of the franchise that propelled him to stardom: Donkey Kong Country. The saga has, since that return from the dead, spun two stellar sidescrollers that rank among the best ever. That influence reached such depths that even the Zelda franchise (which is as far from the sidecrolling realm as it is possible to be), after the somewhat great-but-not-that-great 3-D duo of Phantom Hourglass and Spirit Tracks, decided to turn its handheld line of games towards those old-school waters with A Link Between Worlds, the most consistent and streamlined Zelda game in quite a few years. Not ignorant to what was happening on the world outside, some third-parties decided to follow suit and apply the same make-up of simplicity to some of the world’s most popular characters, which explains why Sonic (Sonic the Hedgehog 4) and Rayman (Rayman Origins and Rayman Legends) both went back and found very different degrees of success – Origins and Legends were spectacular, Sonic the Hedgehog 4 was ok – down that 2-D pathway. 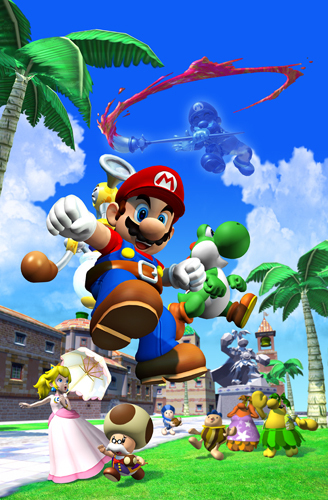 After long years of being thrown to the wayside, sidescrollers now, more than coexisting with the bigger and more expensive 3-D giants and being seen as a design alternative – not a retread, have risen as a more economically profitable option to certain franchises, allowing characters such as Mario and Link to simultaneously hold series that take place in very different perspectives and, hence, offer players extremely distinct gameplay styles. 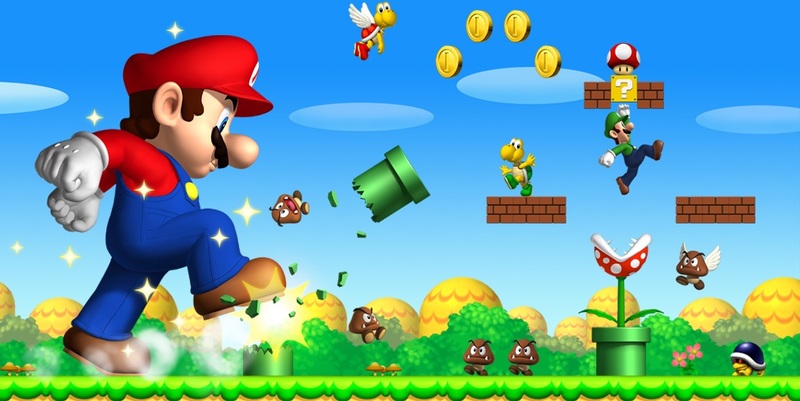 Underlining all those mainstream names, and aiding that pleasant sidescrolling revival by the production of small-scope titles of high originality, the advent of indie developers – an occurrence supported by digital distribution – has also enjoyed that same wave of 2-D acceptance triggered by New Super Mario Bros. to create many high-quality works and be widely recognized by them. Games like Braid, Super Meat Boy, and Shovel Knight could have flipped the indifference towards sidescrollers by themselves due to their overwhelming charm, but it sure was nice to get help from the red plumber. Following that ripple-turned-tsunami, there is no point in gaming history – other than the 8 and 16-bit eras – on which 2-D gaming has ever been this healthy and productive: masterpieces that compare fairly to the classics of yesteryears are slowly turning up, while inventive little morsels of gaming goodness are being born on the hands of independent developers. As gamers, all we have to do is sit back and enjoy as – once more – beloved characters travel sideways towards the right-hand corner of our TV screens. Great post. In retrospect, it’s shocking just how marginal the classic side-scroller was during those two generations, the N64/Gamecube years. And it wasn’t exclusive to Nintendo’s home consoles either (obviously as you say the handheld side is something else). Symphony of the Night was an exception, and even that game was competing against 3D Castlevania games on the N64, let’s not forget! Mischief Makers was a game I picked up almost by accident back on the N64, and I remember well how unusual it was to have a game that exclusively used the d-pad – the only other game like that I knew of like that was Fighter’s Destiny. If that type of game was a rarity on the N64 then it was an endangered species on the Gamecube. That minuscule d-pad didn’t help, I’m sure! Yeah, fortunately we are way past that! Now we get to enjoy an almost equal flow of 3-D and 2-D titles. The Gamecube’s D-pad is a little detail I had overlooked. Its size and disposition on the control goes to show how important sidescrollers or games of the kind were back then. Mischief Makers is a Nintendo 64 game I have never tried; perhaps the only jewel of the console I have yet to explore. Maybe I should get to it! I’d definitely recommend Mischief Makers – it’s a very unique 2D platformer by any standards. There are around 30 short stages, most of them fairly easy to blast through, but there are these optional yellow gems in each level that are often beautifully hidden, and every gem you get lets you see more of the game’s bizarre final cutscene. It’s one of my favourite N64 games, that’s for sure, and there’s nothing else like it. It sounds awesome! I might tackle it once I am done with Codename S.T.E.A.M. Mischief Makers is amazing! Loved that game. I found out not long ago that its reviews were mediocre (I paid no attention to such things back when it was released), which baffled me. It must just be because it was a 2D style game on the N64. Definitely an underrated game. Yeah, I remember hearing great things about the game from you. I wonder how much the fact it is a 2-D game harmed its general evaluation. 3D Games will always have their place, but I think sidescrollers are the most timeless game designs. There’s something about them that is capable of perfectly summing up the very nature of video games at their best. Exactly. Their simplicity displays gaming at its purest no-frills form.